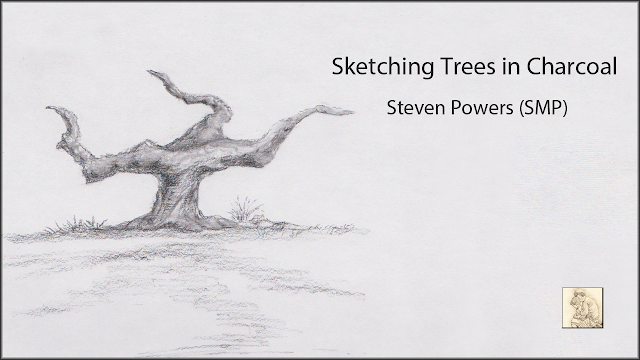 This video demonstrates my approach to sketching trees in charcoal. Starting with thumbnails approximately 1x2 inches and progressing into large studies. I am using basic tools for this with recommendations listed below. I know that it has been sometime since I posted a video and this one is a bit longer than I normally post, but at least it isn't the longest I've posted. Hope you enjoy it.